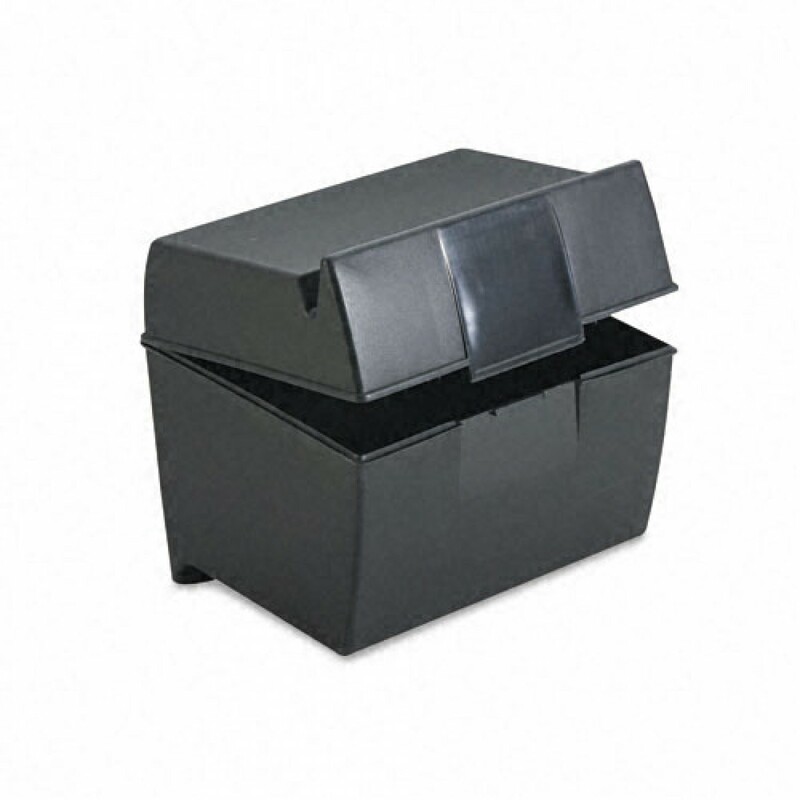 - Plastic index card file box with flip top. - Holds 400 4 x 6 size index cards. - Stores and organizes cards. hold cards upright for hands-free viewing. 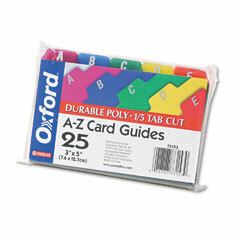 - A-Z Card Guides 603. - Available in matte black. 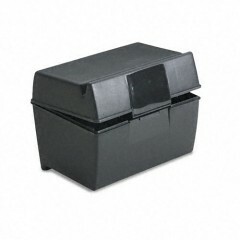 - Sold for $5.00/file box.